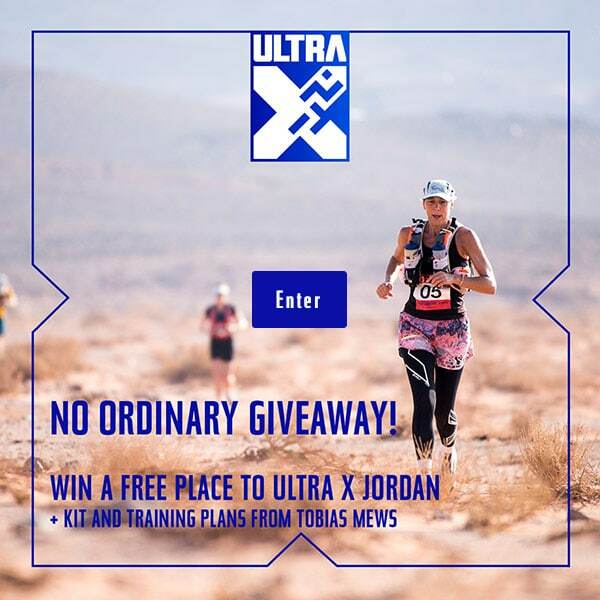 Ultra X are delighted to announce that we will be part­ner­ing with Just One Body for the 2019 race series. 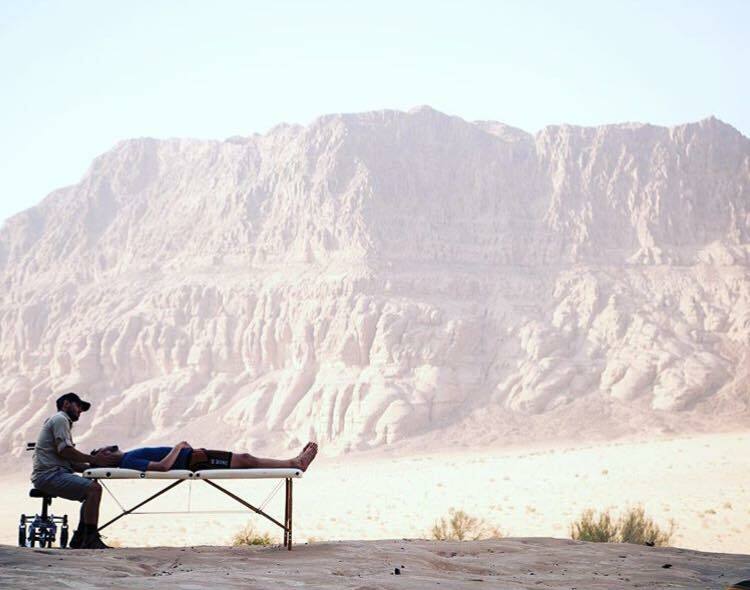 Hav­ing been a part of the Wadi Rum Ultra since its birth they know our format almost as well as we do and what it is that our ath­letes need the buildup, dur­ing and after a 250 km multi-day ultramara­thon. All ath­letes will be asked to fill in an online case his­tory remotely as part of the regis­tra­tion pro­cess. This means that dur­ing the event Kier­an and the team will be able to treat you as effect­ively as pos­sible. All mem­bers of the Ultra X com­munity will be able to bene­fit from a FREE 20 minute assess­ment either in per­son, at Just One Body’s Lon­don offices, or over Skype for those who live fur­ther afield. After this ini­tial assess­ment Ultra X com­pet­it­ors will be able to bene­fit from a part­ner­ship rate mean­ing that they can receive 20% off all appoint­ments at a clin­ic of their choice. Just One Body will be present at all Ultra X train­ing events through­out the year, so that when you get to the start line there will be a famil­i­ar face there to sup­port you. Upon arrival at the race des­tin­a­tion there will be a chance for the run­ners to meet the med­ic­al team and dis­cuss any recent con­cerns, as well as put­ting faces to names. This means that dur­ing the race that treat­ment can be made most effect­ively. All the Osteo­paths are sports mas­sage trained and will be on hand through­out the race provid­ing sup­port at check­points each day and at the fin­ish line. You may well just find your­self get­ting your race fee back in ther­apy if you are lucky! Most com­pet­it­ors will get a min­im­um of 10 mins per­son­al treatment/ mas­sage each day. There will be recov­ery break­out ses­sions, such as yoga, dur­ing the week adding to the with post run enter­tain­ment, but also with self-care. The biggest mis­con­cep­tion about recov­ery after race like ours is that it hap­pens quickly, and the biggest mis­take ath­letes make is get­ting back into struc­tured train­ing too soon. To be a healthy ultrar­unner and con­tin­ue racing or par­ti­cip­at­ing for a long time, it’s essen­tial to give your body and mind a sig­ni­fic­ant break between events. For many ath­letes, run­ning is an integ­ral part of your life­style, which means the recov­ery peri­od requires patience and an unfa­mil­i­ar change to your routine. It’s worth it, and so Just One Body will be on hand to assist with recov­ery plans and reduced rates for any. Just One Body are going to be present at our “Intro­duc­tion to Ultra X” Trails Day on the 23rd of Feb­ru­ary. To register for this event and meet the team please register your interest below.